Yes...I found two new shows that got me completely obsessed within a month...I am doomed haha! The last one was Dexter and I still haven't finished it, on purpose because once I'm caught up it's over with this one and I don't want it to be over. So I figured that if I check out another new show on Netflix it should be all good. 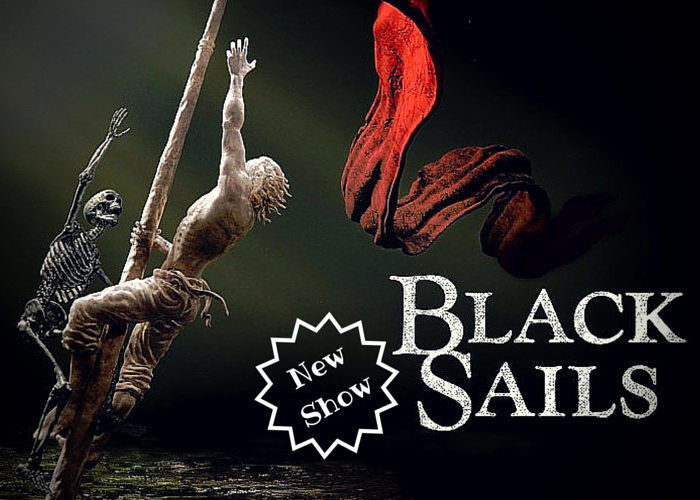 I checked out Black Sails in the end. Because pirates. And it hit me like a Maelstrom! I got sucked right into that fandom so hard I think I did seriously drown, no joke. Now, I have loved pirates since I was a very little girl and that love has stuck with me so I knew I'd enjoy it if it was just a little but I found myself getting yet another new fandom obsession. I'm about two years late into this fandom family but I'm almost caught up and S3 is already on the move with a 4th season coming after that so it's all good. And yes there is a huge difference between a show that I enjoy and a show I obsess over. Like I enjoy watching an episode of Community now and then but I have to watch my shows like Walking Dead or Supernatural etc or else I will be struck with an anxiety level like there is no tomorrow. Become obsessed with any shows lately?